Nutrifield® is Australia’s leading manufacturer of superior hydroponic solutions, rapidly becoming an International revolutionary leader within the hydroponics industry and now available to the UK market through selected outlets. The team @ Nutrifield is made up of passionate industry professionals, dedicated to creating innovative and results driven value-added solutions for the growing hydroponics industry. The Newtonian Physics adage: “a body in motion tends to stay in motion” holds true for all of the team at Nutrifield®. They are constantly in motion always on the go and always listening to customers to provide cutting-edge developments that the industry desires and deserves. They actively pursue perfection through continuous research and development work with the goal of providing the best possible solutions for all gardeners. Every Nutrifield product has been extensively tested in Nutrifield's own in-house growing facilities. 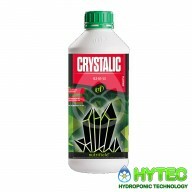 This ensures the utmost quality and consistency in the results before any product is launched, providing you with a unique growing solution. Check out our Nutrifield Nutrients blog article for more information. In addition to air renewal, ventilation is an essential parameter for the proper functioning of growing space. Air movement provided by fans such as revolution silence ec fans, facilitate the 0²/CO² exchange of stomata (= gain of liveliness) and expand plant structure (= production gain). 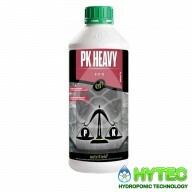 PK HEAVY The team @ Nutrifield developed PK Heavy™ to achieve an abundance of weight and size for your favourite plants they achieved this by using refined Phosphorous (P) and Potassium (K) which dramatically stimulates robust flowering in your plants. 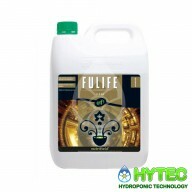 It also contains Zinc (Zn) which a..
FULIFE Nutrifield Fulife® was created in a quest by the guys a Nutrifield to maximise yields by improving plant metabolic processes that allow for faster growth due to improved photosynthesis. 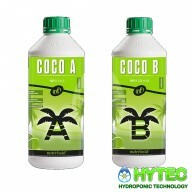 not only does Fulife® contain the highest grade fulvic acid which is vital for proce..
COCO A & B Nutrifield® base nutrients include each of the 13 essential elements with a number of beneficial and organic compounds. Nutrifield® base nutrients have been specifically designed to deliver maximum yield and performance that your plant is capable of. Intensive research ha.. 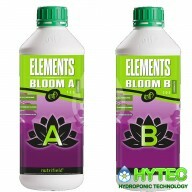 ELEMENTS BLOOM A & B Nutrifield® Elements Bloom is a premium 2-part nutrient system ( A & B ) specifically engineered for the major stages of your plants blooming development. Nutrifield® Elements Elements Bloom ensures bountiful fruit and flower set, maturation, flavour, a.. 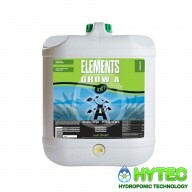 ELEMENTS GROW A & B Nutrifield® Elements Grow is a 2-part nutrient system ( A & B ) specifically engineered for both major stages of your plants vegative development. Nutrifield® Elements Grow induces rapid vegetative growth by promoting mitosis (cell division) Nutrifield®&.. 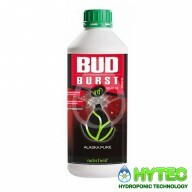 BUD BURST Bud Burst™ was designed by the Nutrifield team to maximise yields and increases the vitality of plants. Natural plant growth optimisers promote rapid cell division and allow the plant to uptake larger amounts of nutrients for rapid floral development. The Potassium in Bud Burst™ di.. 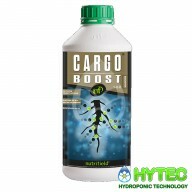 CARGO BOOST Nutrifield Cargo Boost® isolates nutrients in nanoclusters preventing them from bonding with other particles and becoming complex molecules. This proprietary nutrient delivery system then brings those smaller molecules to the roots where they are readily available to absorb ..
VEG IGNITOR The team @ NUtrifield set out with a goal to achieve rapid vegetative plant growth from this goal they created Veg Ignitor™ which will induce vegetative plant growth at rapid rates . The natural root stimulants, enzymes, and amino acids contained within .. 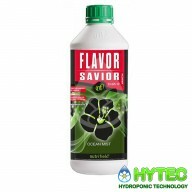 FLAVOR SAVIOR Flavor Savior™ by the team @ Nutrifield is a great product which is derived from fish proteins, high analysis kelp, polysaccharides, liquid vermicast, humic and fulvic acids. The structural polysaccharides in Flavor Savior™ give it the ability to improve the cell structure of t..